As some of you may know, Kim Chiu has been a Cherry Mobile celebrity ambassador and endorser for many years already - I believe - starting in 2010 when the local electronics company got her to promote the X90 Blush 'Kikay Phone' with swiveling display. Remember that model? 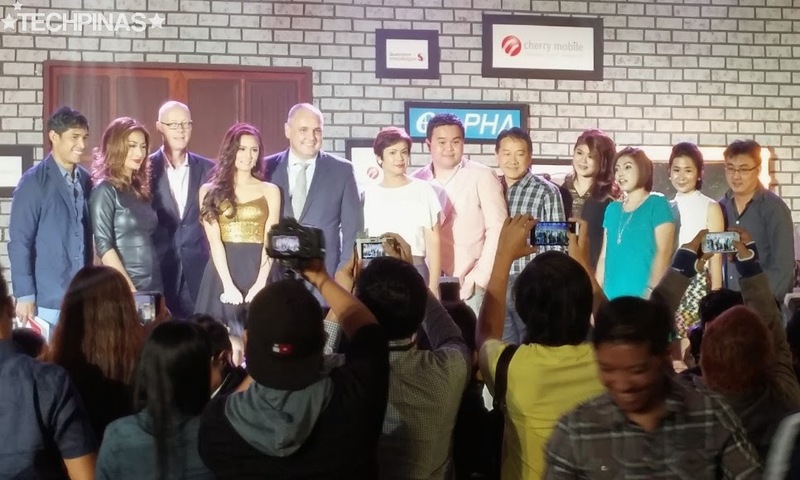 The Kapamilya Star has truly come a long way with CM as she's now being tapped to be the face of the brand's newest Alpha line of devices. 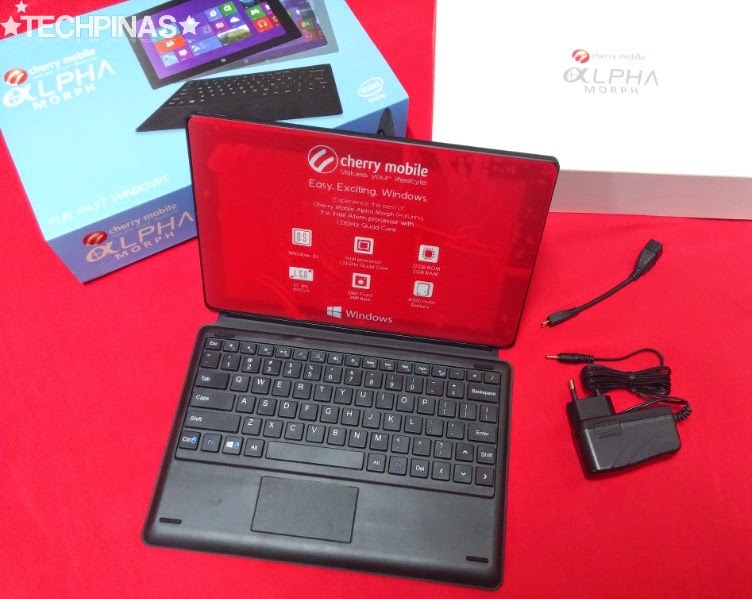 The Cherry Mobile Alpha Series includes smartphones, tablets, and hybrids that run Microsoft's mobile and desktop operating systems, namely, Windows Phone and Windows 8.1 currently. 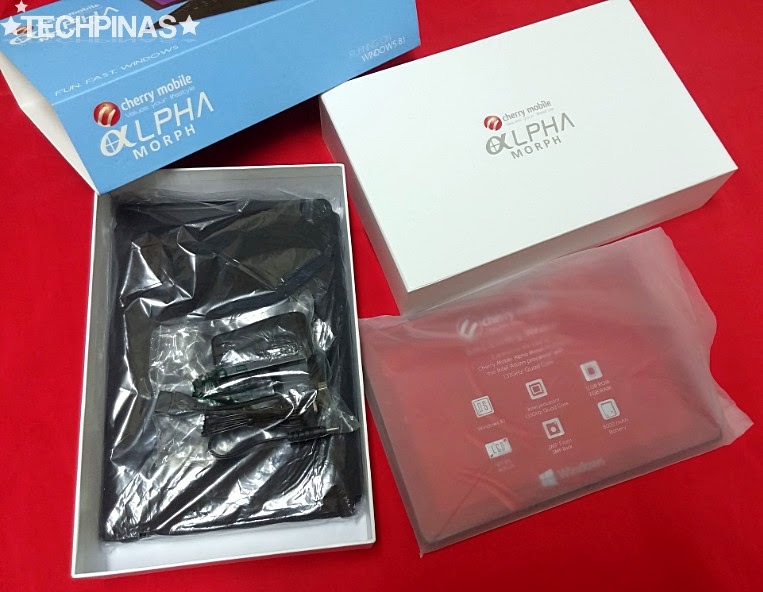 Going back to Ed's question, the device that Kim Chiu is using in that television commercial is the Cherry Mobile Alpha Morph, which is actually a hybrid -- or two devices wrapped in one package. 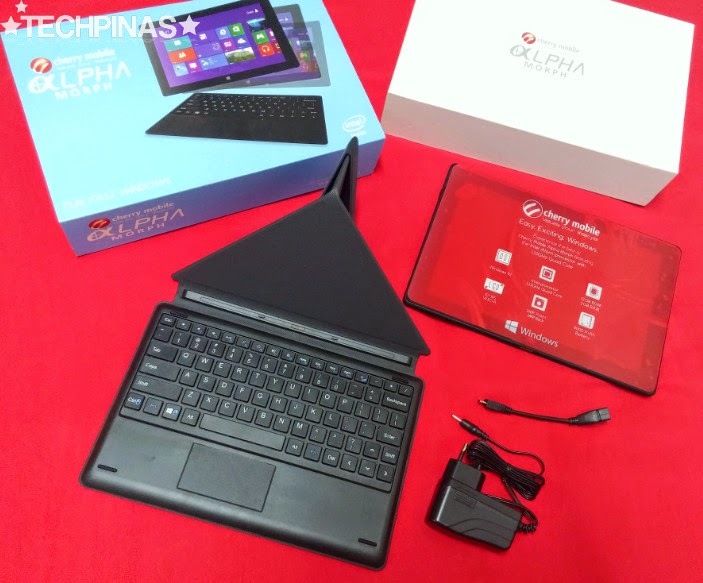 Priced at Php 11,999, Cherry Mobile Alpha is the most expensive product in this series and understandably so -- as it's a full-fledged laptop as well as a tablet running Windows 8.1 operating system. Let's do an unboxing while I share with you interesting tidbits about this really cool release. Last week, our friends from Cherry Mobile sent me an official retail package of the 'Morph' to play with and review. 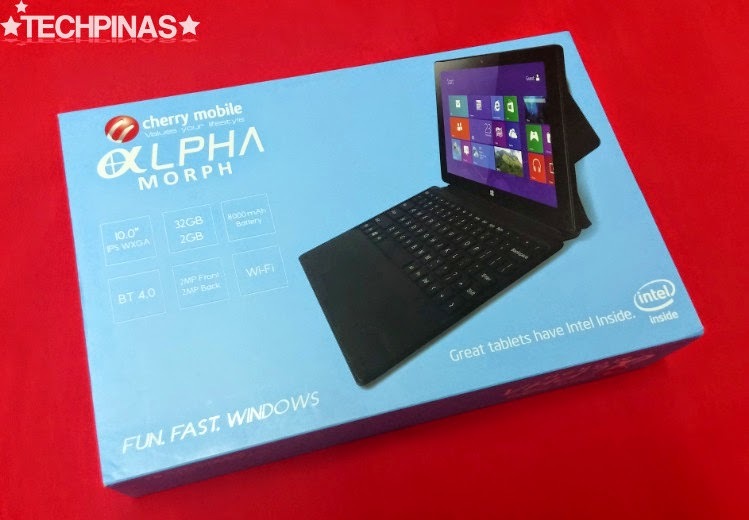 As I've shared on TP, Cherry Mobile Alpha Morph is tablet features a 10 inch HD IPS display, 2 MegaPixel front and back cameras, along with a large 8,000 mAh battery pack. 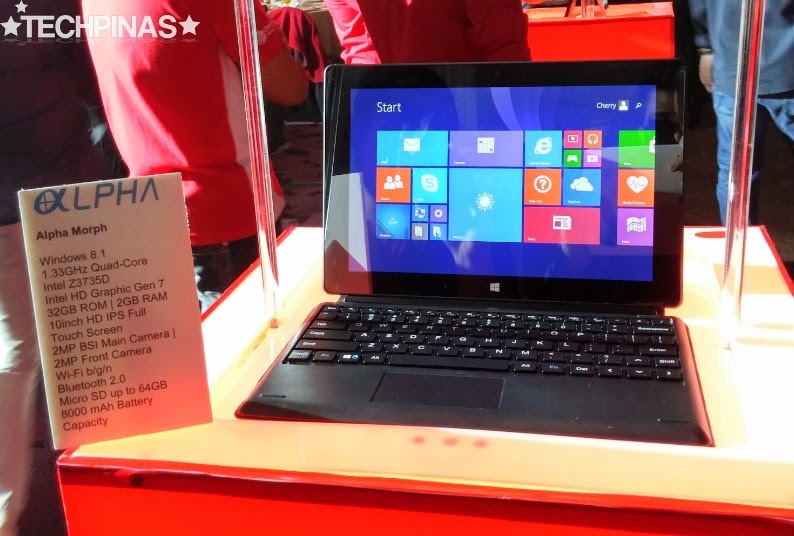 Under the hood, the device runs a 32-bit version of the touch-optimized Windows 8.1 OS with a powerful 1.3 GHz Quad Core Intel Z3735D - good enough for 3D gaming; This chipset is complemented by 2 GB of RAM for smooth multitasking, and 32GB of internal storage that users can easily expand through the Morph's microSD card slot, which supports up to 64 GB. The slate also comes with USB-On-The-Go support so you can conveniently plug in your flash drive for additional storage space. 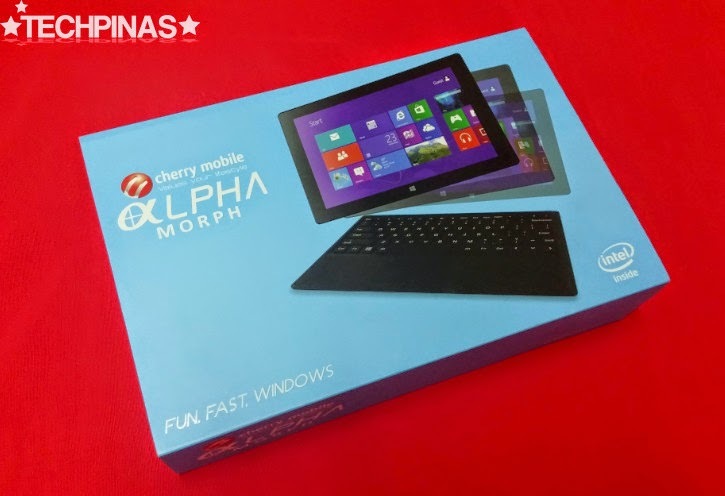 Cherry Mobile Alpha Morph would have been just like many other regular Windows 8.1 slates out in the market if it weren't for that black sleeve, which accompanies it inside the box. 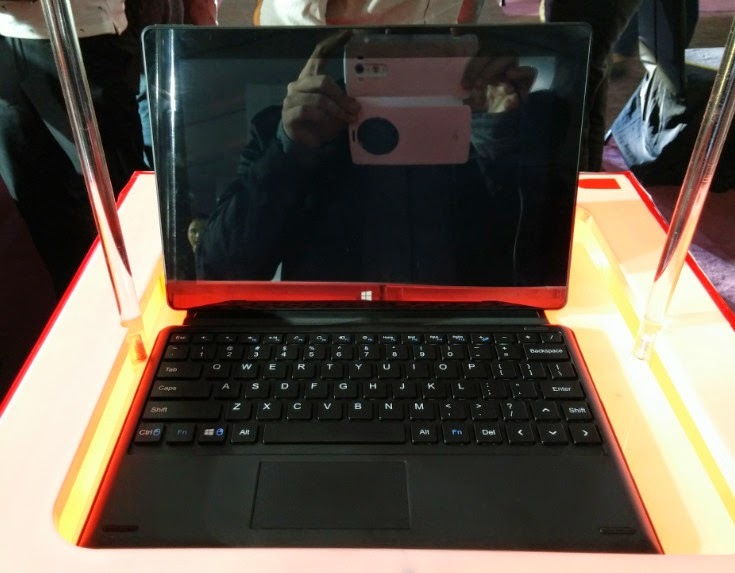 It's actually a keyboard 'dock' that also works a carrying case for the tablet. The plastic keyboard - which is surprisingly sizable - has chiclet or island-style keys -- and below them, you'll find a trackpad measuring around 3 inches x 1.5 inches. Simply fold the cover to make it stand (it has 'outlines' and magnets for such transformation) and attach your Cherry Mobile Alpha Morph to the keyboard via the 5-pin magnetic dock connector. ... And voila! You have - practically - a laptop! The entire retail package includes the unit itself (which is only available in one color: Black), the keyboard dock and sleeve, USB On-The-Go cable, and the charger. Wondering why there's not too many accessories included in the box? 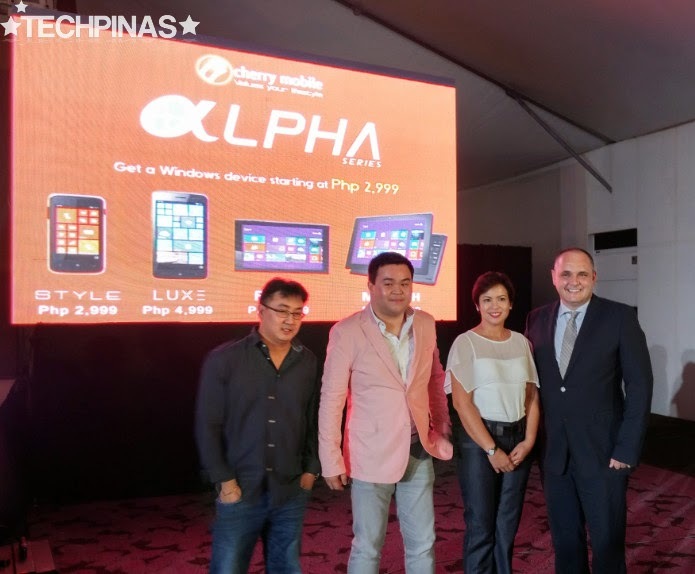 I guess it's part of Cherry Mobile's strategy in keeping the price of the product low. In the TVC, Kim Chiu is shown using the Cherry Mobile Alpha Morph to do office work with style; organizing and managing Word and Excel files with ease. At the start of the video, we see the device in laptop mode and towards the end, we see Kim carrying it in tablet mode. I think that 30 second clip pretty much gives us an overview of what the Morph is -- but trust me, I've been playing with it for a couple of weeks now, and there's really a whole lot more to this wonderful hybrid. Stay tuned for my review!